Designed to simplify the time, material and effort in your precast concrete forming, Xtreme Series Precast Forming System is available in various thicknesses (3/4”, 1”, 1 ½”, 2”) and come in four foot lengths. The thickness of the form rails will determine the thickness of the precast concrete countertop, fireplace or vanity you will be pouring. One side has a protective film on it, this is the side that is placed facing the center of your mold or the edge in which concrete will be placed. 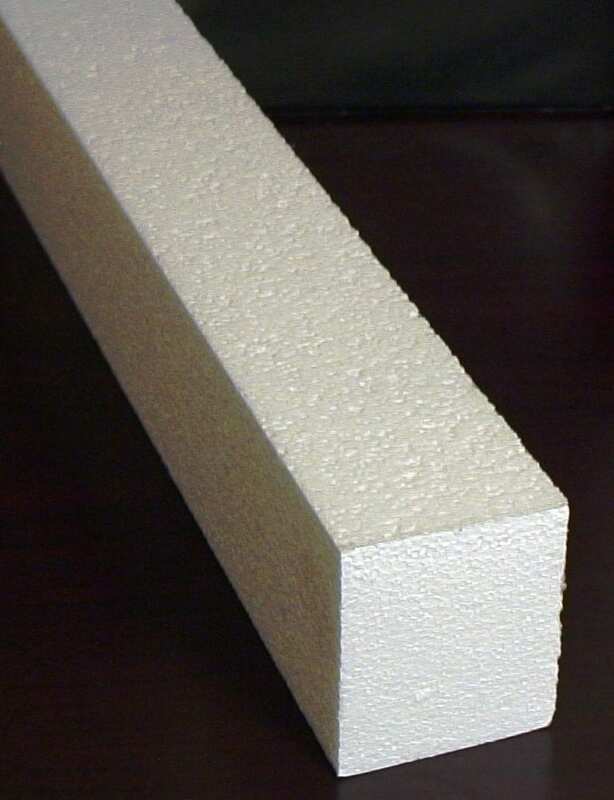 The precast Concrete form rails can also be bent to form inside and outside radius. When bending it is only possible to bend the form rail “into” the protective film. If you bend away from the film it will break the form rail. When trying to accomplish this type of bend you will need to use Clear Facing Tape. On the opposite side that already has the plastic on it apply a strip of clear facing tape so the form rail can be bent both ways. Once the piece has been bent into the desired shape, remove the tape from the side that would go on the inside of the form and reline with facing tape to leave a smooth surface to cast into. 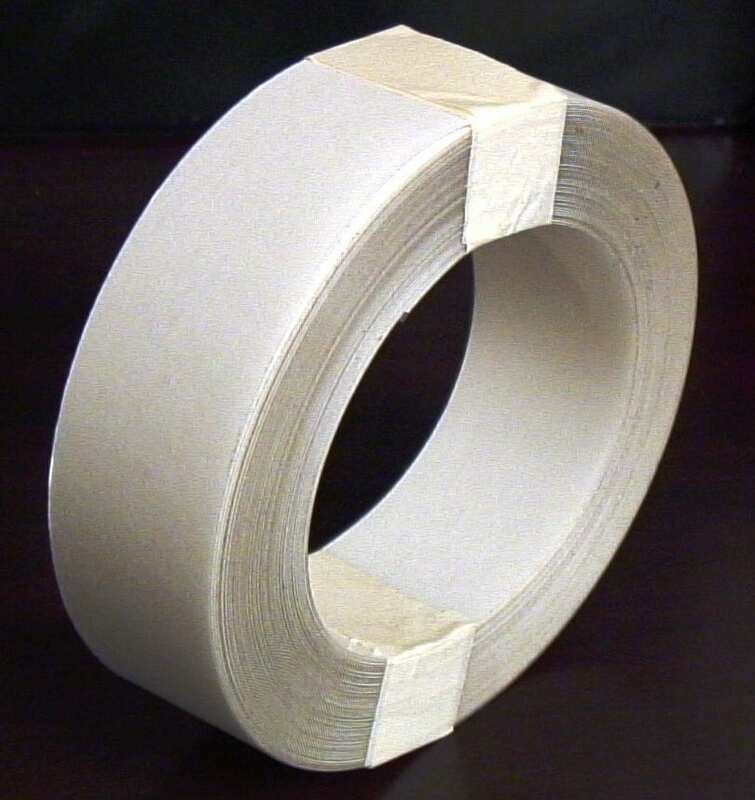 The clear facing tape is used to line the inside of your mold after bends have distorted the finish of the existing tape or where two form rails come together. 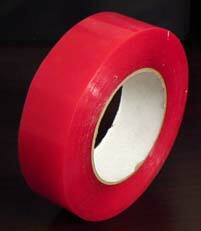 Minor radius can be accomplished using this tape as well. Pressure Sensitive Adhesive is used to attach the form rails to your casting surface. It is tacky on both sides and eliminates the need for screws. When placing the PSA Tape, apply the tape to the form rails first, then remove the protective coating to expose the other tacky side. It is important to have this tape placed as close to the edge of your inside form rail as possible, this will eliminate the need for caulking because the tape is made from vinyl and will not wick moisture from the concrete.